People are often surprised to find that essential oils have a shelf life. They may have been told essential oils never expire to justify a high price tag. The truth is, essential oils do have a shelf life – regardless of the brand. Because essential oils are volatile, they have the potential to oxidize. Chemically speaking, volatile substances, like essential oils, evaporate. This is why we can smell them, and how they work. Essential oils are made up of a variety of constituents, or chemical compounds, which collectively make what we call an essential oil. The lighter constituents are most volatile and will evaporate first. The heavier constituents will be the last ones to go. The lighter constituents are often the ones more gentle for the skin. So when these leave, the risk for that essential oil to cause redness and irritation increases. Sensitization risk is also increased when oxidized essential oils are applied to the skin. According to Essential Oil Safety, “Contaminants or adulteration may increase toxicity,” and “degradation can lead to increased hazards.” Degradation comes about from three main ways: oxygen, heat, and light. Oxygen that gets into your bottle and reacts with some of the constituents is called oxidation. This oxidation can affect the therapeutic properties of the essential oil, as well as render it more hazardous (source). The biggest hazard is increased risk for sensitization. Heat causes the more volatile constituents to evaporate more quickly. CO2 extracts are more prone to damage from heat than steam-distilled essential oils (source). Ultraviolet light promotes free radicals. Amber colored bottles are best at keeping UV light out. Cobalt (blue being the opposite color of brown) bottles do not do a very good job of keeping UV light out, but they allow the light to pass through the glass more readily, and therefore into the product (source). These are some of the essential oils which should be avoided if oxidized (source). These are also the essential oils to prioritize for refrigerator space, if you have limited room. 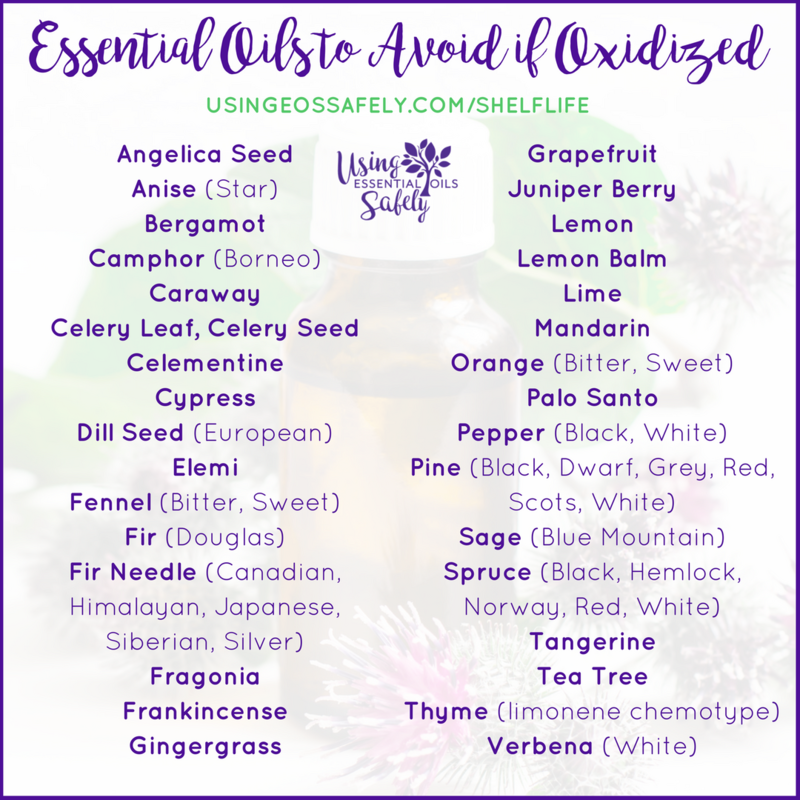 I compiled this list after flipping through each essential oil profile page in the book Essential Oil Safety. 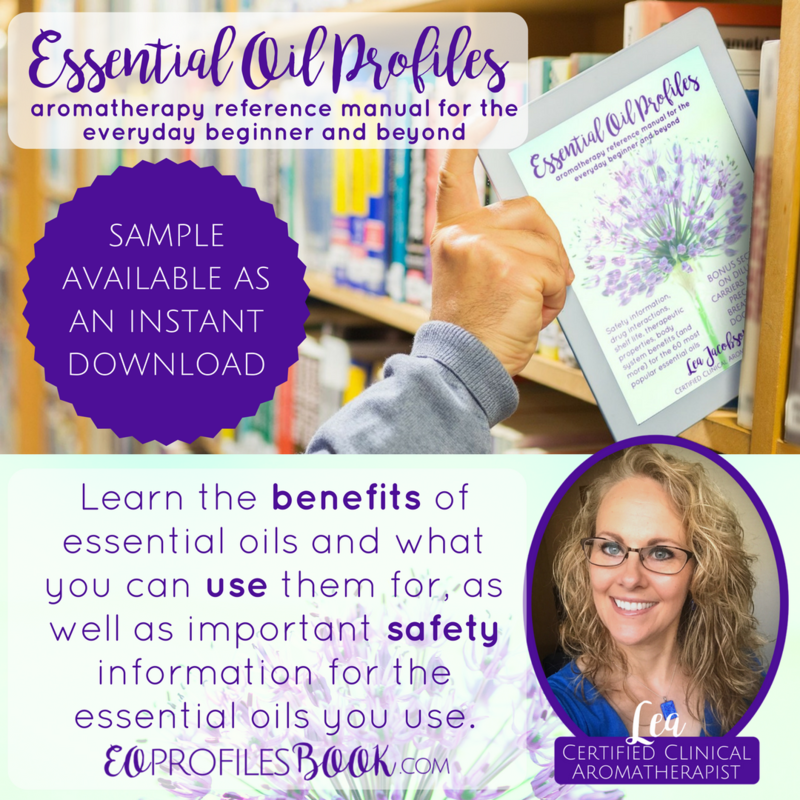 Shelf life of essential oils is provided for each of the 60 essential oils profiled in our Essential Oil Profiles resources! 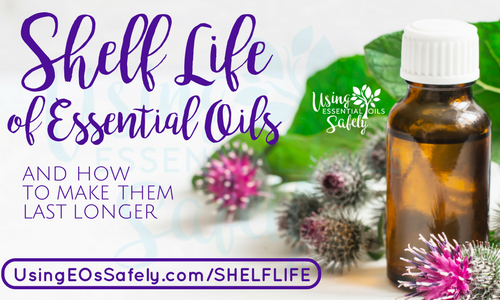 In general, shelf life is determined by the chemical composition of the essential oils, some of which oxidize or evaporate more quickly than others. Essential oils which contain a lot of monoterpenes or oxides have the shortest shelf life, of approximately 1-2 years. Essential oils which contain a lot of phenols may last up to 3 years. Essential oils which contain ketones, monoterpenols, and/or esters have a shelf life of 4-5 years. The potentially longest-lasting essential oils contain lots of sesquiterpenes and sesquiterpenols which can last up to 6 years. Please note that several factors are to be considered when estimating the shelf life, and these are just approximations. Opening the jar frequently, leaving caps off for a length of time, placing in sunlight (or artificial light), keeping in a warm place, and getting water or other things in the essential oil bottles can drastically shorten shelf life. This is not an exhaustive list. I am listing some of the more popular essential oils as a reference. Many companies do not provide a distillation date, which can be used to determine shelf life. If you are unsure when it was distilled, or bottled, you can keep track of when you purchase it. 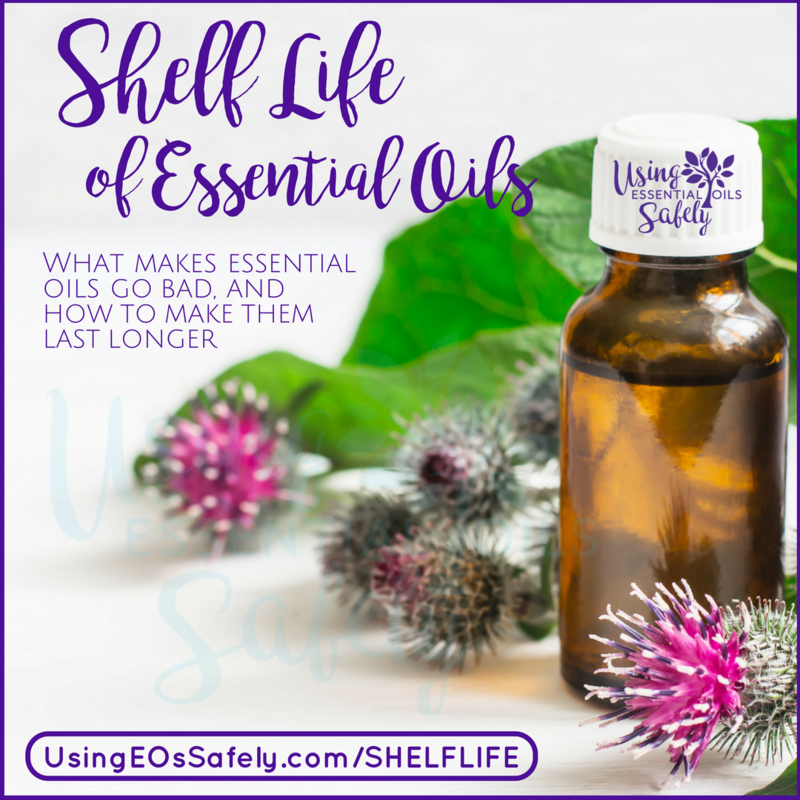 Keep in mind there could be several months or longer between when the essential oil was distilled or bottled, and when you make your purchase. If you are left in the dark, there are two ways to tell if your essential oil has been oxidized: aroma, and adverse reactions. If you make yourself familiar with the aroma of the essential oil when it is fresh, you will begin to notice it smells “off” once it has oxidized. A change in smell can alert you that it may not be safe for topical applications. Once oxidized, the potential for the essential oil to cause redness, irritation, itching, etc., increases even when diluted. If this starts happening to you, stop using the essential oil topically. Continuing to use the oxidized essential oil in this way will greatly increase your risk for sensitization. Oxidized essential oils are not recommended for use on the skin, but they can be used for cleaning. It is not recommended they are diffused, either, in cause of mucous membrane irritation. Be sure you wear gloves when you use the essential oils in your cleaning recipes. For some recipe ideas, I recommend DIY Non-Toxic Cleaning Recipes (ebook) and DIY Organic Beauty Recipes (ebook), as well as Essential Living: Aromatherapy Recipes for Health & Home (ebook, also available as a paperback). 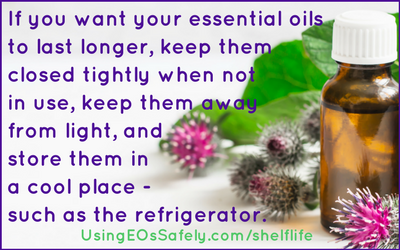 If you want your essential oils to last longer, keep them closed tightly when not in use, keep them away from light, and store them in a cool place. The best place for essential oils is in the refrigerator (source).